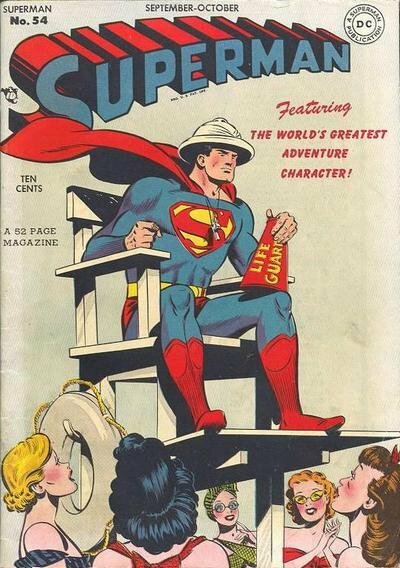 Click Here To See Superman #54 Comic Book! 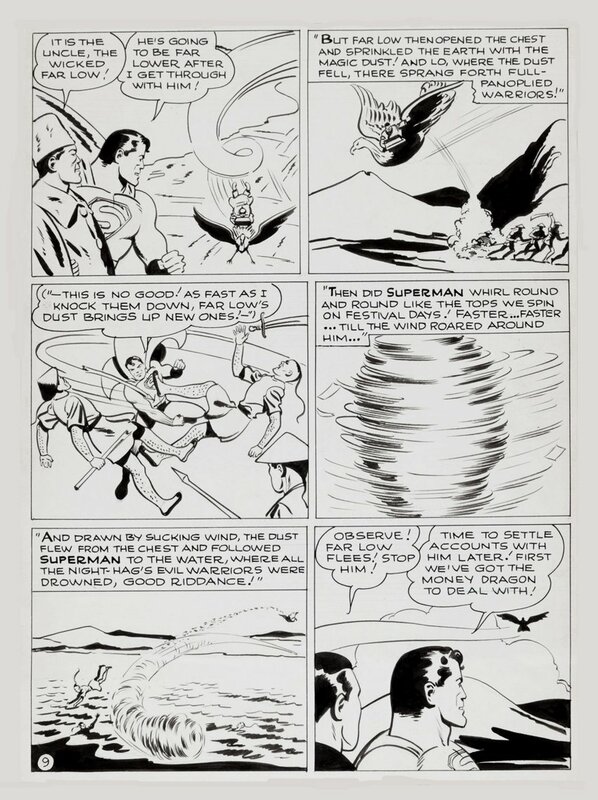 Check out this very early 1940's Superman original art page, which was drawn in the very early 1940's, by Joe Shuster art assistant, John Sikela, for the story titled: "The Secret of the Chinese Dragon!" Oddly enough.... This EXACT same story was later redrawn by Wayne Boring using this art for his guide, and this story DID get published in Superman #54 in 1948. The art an image area of 13.1 by 18 inches. There is a slight bend in the bottom 1/3 of the board but not very significant. What a great early 1940's Superman all out battle page to be had for your private collection! ALL pieces of art on our website (including this one) are able to be purchased with VERY fair time payments, and trades are always considered towards "ANY" art on our website! Just send us an email to mikeburkey@aol.com and we can try to work something out.